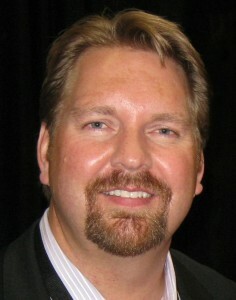 In this edition of Optimize Pulse: Lee Odden sits down with Wordtracker Academy for a content marketing interview; Odden is one of “ten people you must know” when defining your content strategy; Optimize is reviewed and more. 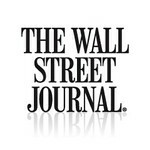 Voting is underway in the Small Business Trends annual Book Awards. Optimize has been nominated in the Marketing category. 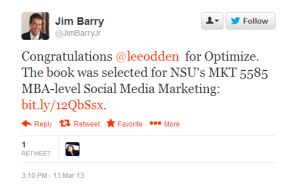 To cast your vote for Lee Odden’s Optimize, click here. Participants may vote daily and sign up for email reminders. 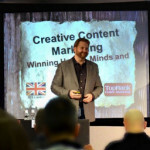 Blogger Gareth Davies from Wordtracker published his interview with Lee Odden last week, showcasing content creation tips, marketing advice and more from the Optimize author. Davies had attended Odden’s Creative Content Marketing: Winning Hearts, Minds & Wallets session at SES London in February and had a chance to sit and chat with Odden at the event. “Great content isn’t really great until it gets found, consumed and shared. Smart marketers need to think about how customers like to consume content. What do consumers want and what media do they like to use? If you can address this, it’s possible to fine-tune online activity to produce content that can motivate customers and get them to take action. For Lee it’s about looking at ways you can take a leadership position in the market and mix this with customer empathy,” Davies wrote. He wrapped up his interview with 10 Ways to Produce Killer Content, based on Odden’s teachings. On the creation of the list, DeClerck said, “Note that a content strategy is not the same as a content marketing strategy and that I went a little bit back in history for this list. 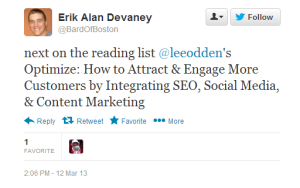 As we should know by now, content marketing is not new and content has been a crucial part of marketing forever. Simply put: without content there is no good website, email, social interaction, advertising, search engine marketing, customer service etc.” We couldn’t agree more! “The strength of the book is in the emphasis it places on the importance of content as the basis of search. Odden explains that in order to attract, engage and inspire customers to buy, marketers must understand how customers like to discover, consume and act on information – at all stages of the buying process. He advocates strongly for “knowing thy customers” and developing “customer personas,” explains marketing communications professional Melanie Simons, in her Optimize review. 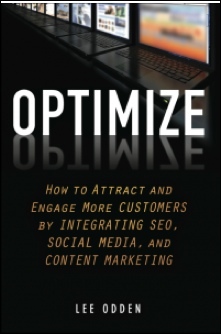 Tuesday March 25 at 10:30am, just as SES New York gets into full swing, Optimize author Lee Odden will lead a session featuring speakers Jasmine Sandler from Agent-cy and Adriel Sanchez from SAP. 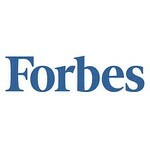 The trio will discuss successful tactics and strategy in B2B social. 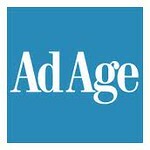 Sandler prepared a “sneak peek” for readers at SearchEngineWatch.com. Odden will present his proven content marketing strategy, with tactics for implementation, so attendees can identify the challenges and opportunities facing brands, in light of the intersection of social media, SEO and content marketing. He will cite real-world examples from major brands across the United States, in order to demonstrate the effect of the modern-day consumer mentality on social, local, agency and brand marketers. Participants will come away with a framework to incorporate mobile, social, SEO and content marketing in order to better meet the needs of the connected consumer. 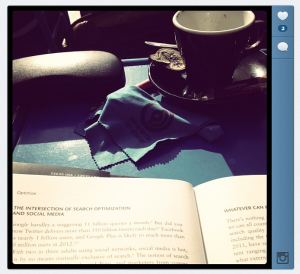 Thank you to fans who have shared their love for – and thoughts on – Optimize on Twitter and around the web this week!